Christopher Wilkinson and Stephen Rivele just began writing it. We have to give them a little time. Still, you can expect it within the next couple of years. This time, the movie is going to focus on the famous Chinatown fight. If you remember your Bruce Lee history, you know that the powers of Chinatown wanted to forbid Lee from teaching Gung Fu outside the Asian community. He was teaching blacks, whites, and women, something that the elders absolutely prohibited. So, they brought in Wong Jack Man to represent them. If he won, Bruce Lee had to close up his mixed class. If Bruce won, then he could do as he pleased. Do you remember the outcome? Note: In my next post, I’ll tell you about my brief encounter with Jason Scott Lee, the actor who played Bruce Lee in the movie. 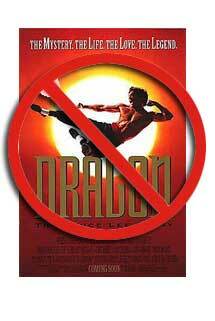 So, will this next movie be better than Dragon: The Bruce Lee Story? I can’t guarantee anything when it comes to martial arts choreography. After all, look at the mess that was made of Dragon, even with Jerry Poteet on the set. But there’s a chance that we’ll get decent quality with Christopher Wilkinson and Stephen Rivele. After all, they were responsible for the movies Ali and Nixon. My fingers are crossed. And I look forward to the next incarnation with eager anticipation. Let’s wait for the next Bruce Lee Movie, together. Next time, I’ll tell you about when I met Jason Scott Lee.